It’s that time of year again, everyone is scrambling to gather their tax information! In order to help, FACTS has enhanced our system to allow families to print their payment history via calendar year. 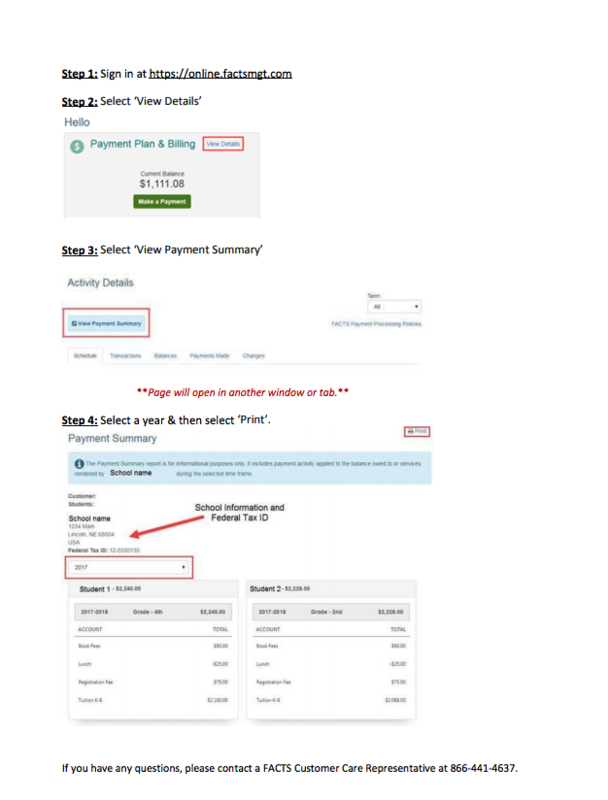 Follow the instructions below & view/print your payment history for the current year.